Christmas was always my favorite holiday growing up. The whole season was so wonderful…special music, beautiful decorations, pretty lights, special cookies and other once-a-year treats, and of course, the gifts! When I was old enough to have my own home, I reveled in making new traditions for my own new family and drew out the Christmas season for as long as possible, putting up our tree the day after Thanksgiving and the Christmas CDs in the stereo. Over time, however, the magic of Christmas has slowly started to disappear, as I get buried under a million to-dos during the season. My Christmas decor collection has grown so large that it’s become a huge burden to drag out every year. Getting the kids to sit still for a photo to put on the Christmas card is always a pain. Then there’s the sending of the cards, the shopping for the gifts, the planning of the meals, baking, parties, guests…and I could go on and on…it’s become so overwhelming that Christmas seems more like a chore than a celebration. Does Christmas make you overwhelmed too? One trick that I’ve learned to use over the past few years is planning. Yes, it seems simple enough, but not many of us actually do it…we usually fly by the seat of our pants to get everything done, but then we’re stressed out instead of feeling joyful, and guilty when we find that we’ve forgotten something. So this year, let’s try something different…let’s make a plan for our holiday! Let’s figure out in advance what gifts we need to buy, what cookies we are going to bake, and what nights we need to set aside for recitals or shows or parties so that we can have a less stressful holiday season. With the 5 pages included in this printable Christmas planner, you can plan your calendar, your grocery shopping and meal plan, figure out what gifts you need to make or buy, decide who to send cards to, and make a budget for the whole shebang. 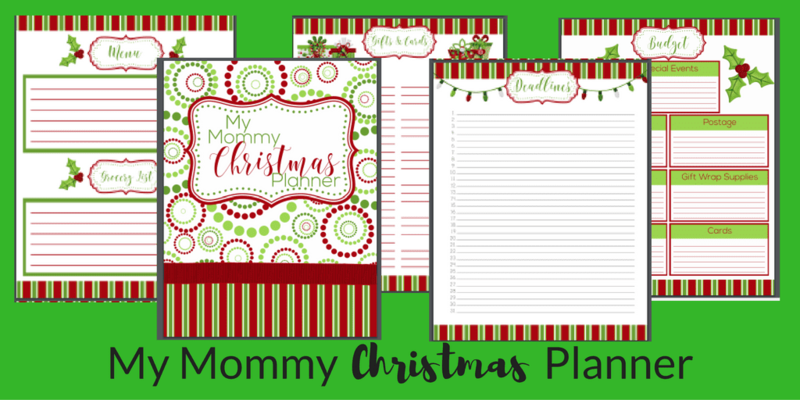 What is included in the My Mommy Christmas Planner? Plus, you get a matching cover page that brings it all together! This planner is perfect for tucking into a small binder or school folder, or you can take it to your local Staples or Office Depot to have it put into a binding comb very inexpensively, to make it more like a booklet. Taking a few hours to sit down and plan out all the details of your holiday will make your life so much easier, as well as help to put a little of the enjoyment back into your celebration. 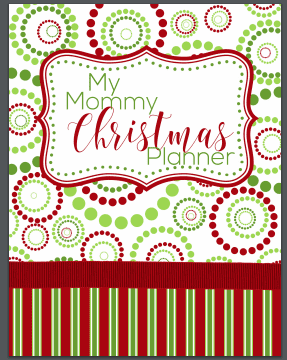 A 5 page planner to help you get ready for the Christmas season, with pages to help plan your meal, grocery shopping, gifts, Christmas cards and holiday budget. 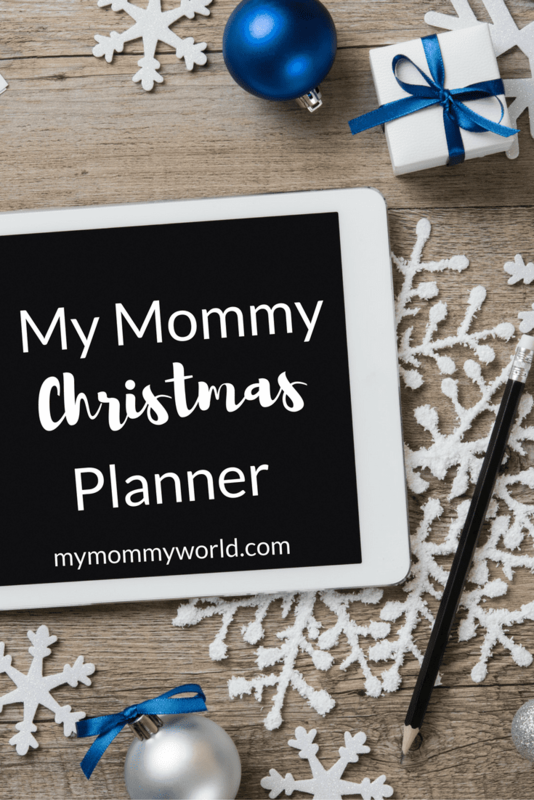 I hope the My Mommy Christmas Planner will help you create a Christmas day that is much less stressful and more enjoyable for yourself and your family. Perhaps it will help make this Christmas the best yet!